This is a table I built for my own kitchen, and was completed in late spring 2013. 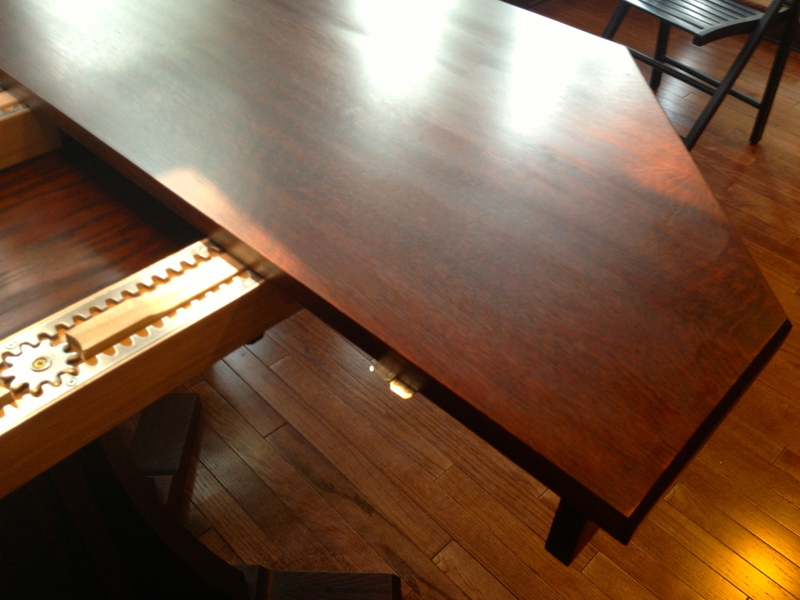 The design comes from two sources; one, a set of plans from Wood Magazine called "Mission DIning Table", and the other was a style of pedestal I saw in the modern Stickley furniture catalog. The Wood Magazine plans were good for getting sizes of parts, and for the octagonal top, but the base and some of the details were too busy. 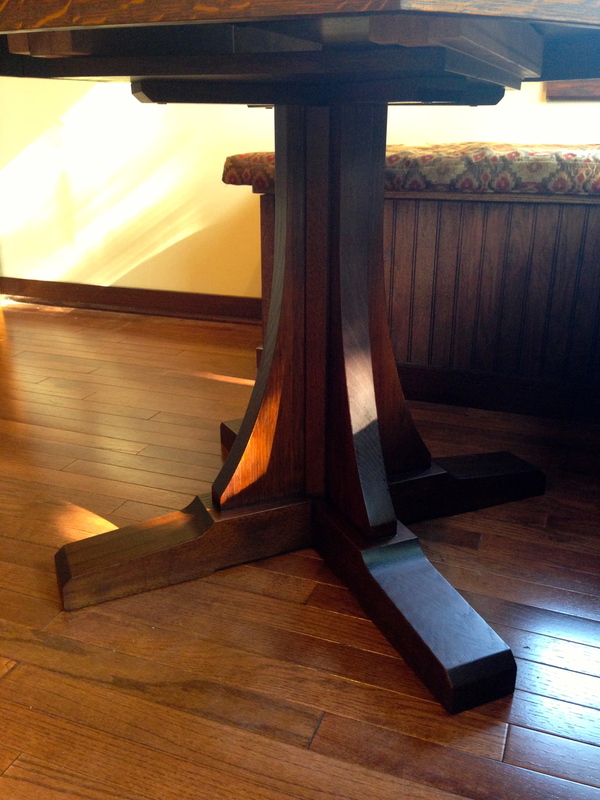 The Stickley catalog had several tables with this shape of base, but I only had small pictures to go on. The table is made from quarter sawn white oak, and finished with a dark water based dye, then sprayed garnet & amber shellac, and then finally an oil & urethane topcoat. The table accommodates up to two 11" leaves, and is very stable when both leaves are in place.